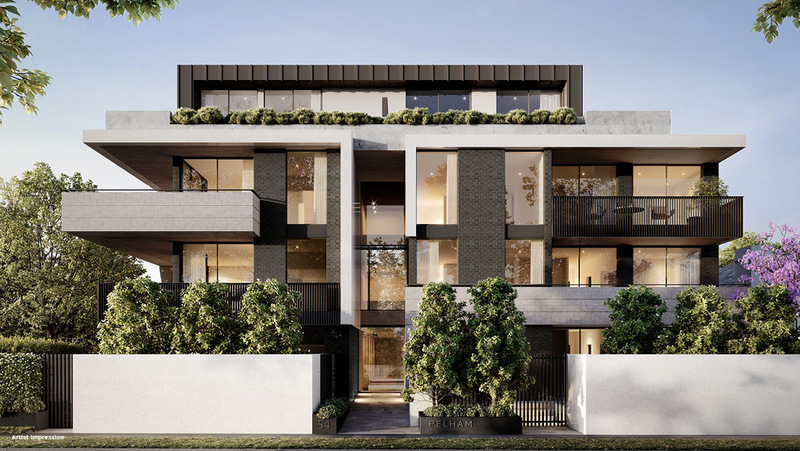 Armadale’s best new address at Pelham introduces a new wave of luxury living to Melbourne's premier south-eastern suburb. 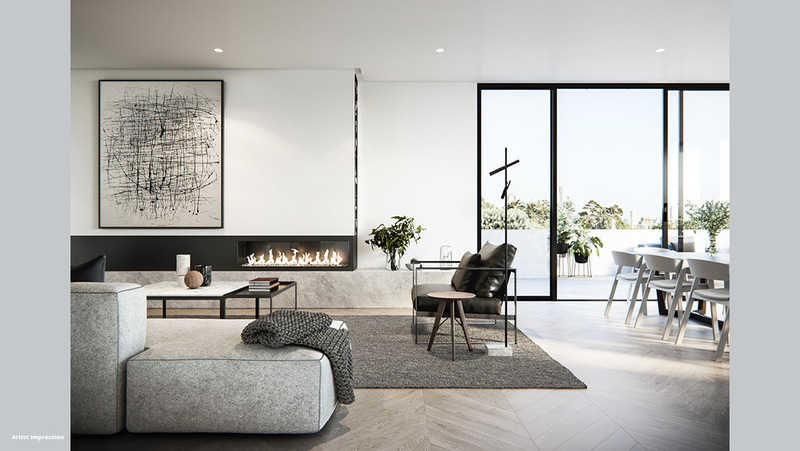 The desirability of the neighbourhood and a limited supply of high-end apartments remaining on the market in Armadale have caused much excitement for Pelham. The series of twenty exclusive residences has been sculpted by the greatest minds in Melbourne's design and property development sector, presenting an enticing opportunity for an elevated lifestyle. Pelham offers a collection of two bedroom apartments ranging from 94-108 sqm, and three bedroom apartments ranging between 116-274 sqm, including a handful of premium penthouses. The attraction of Pelham is rooted in the innovative collaboration between developers Roulton and Buxton Group, two highly regarded brands in the industry. By employing Ewert Leaf’s architectural genius, a sensational project has been created. Inspired by the works of Frank Lloyd Wright, Pelham’s facade is structurally sound and centred on linear design. A durable and modern composition of natural materials forms the exterior. Features such as recessed details in the concrete elements combine with charcoal and timber structures to create a visually outstanding and cohesive building. Crafted to honour and complement Armadale’s ambience, Pelham is a timeless addition to Wattletree Road. Held within the sophisticated facade and manicured greenery are beautiful homes designed for the indulgent modern family. The interiors, too, are a result of the astute design work of Ewert Leaf. Founded on a neutral palette, the generously proportioned living area is elegant and inviting. With details such as the feature fireplace and George Fethers Chevron timber flooring, an opulent base for a home of luxurious comfort is crafted. The kitchens at Pelham – available in a light or dark colour scheme – are equipped for all types of culinary pursuits. Signorino marble makes up the expansive benchtops, while a butler’s pantry in the three-bedroom residences allows epicureans to stock up on staple ingredients and seasonal goods. And with Miele powering the space, producing delicious creations is easy. A symphony of luxurious finishes creates the elegant bathroom setting. 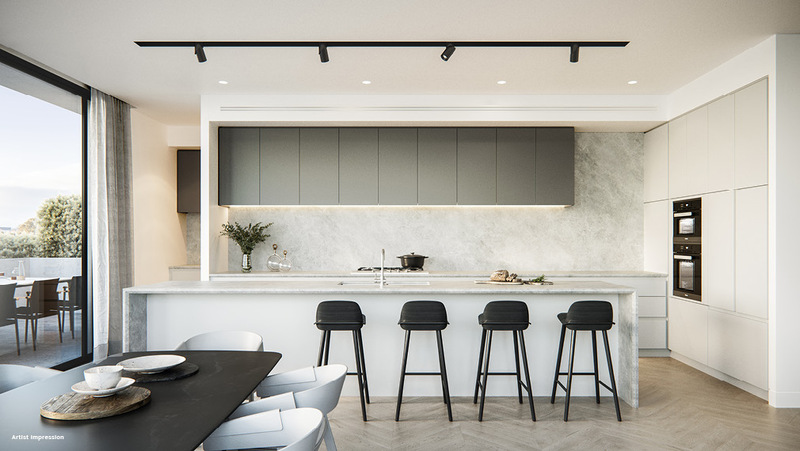 The grey tones found in the terrazzo tiling and marble benchtop veins is complemented by brushed nickel tapware, having an aesthetically pleasing effect. A freestanding bath centres the bathroom and creates another opportunity for luxury living, while the bespoke vanity with bevelled-edge detailing sits opposite in neat symmetry. 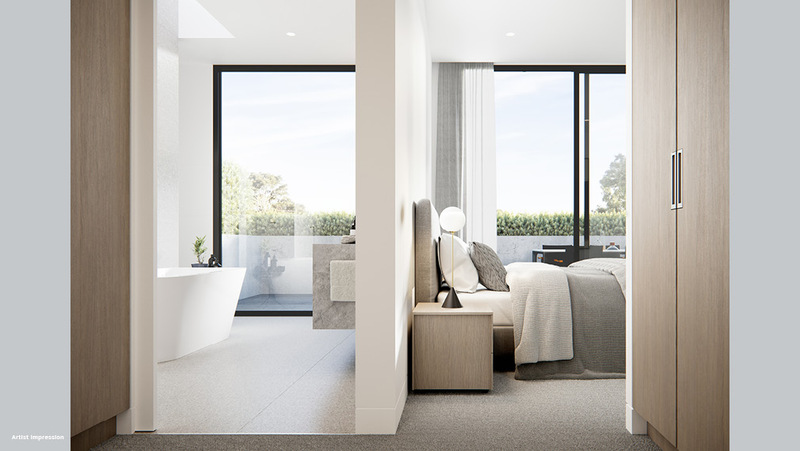 The bedrooms boast 100% wool carpeting, walk-in wardrobes and windows that invite in plenty of natural light to create a clean and open environment. 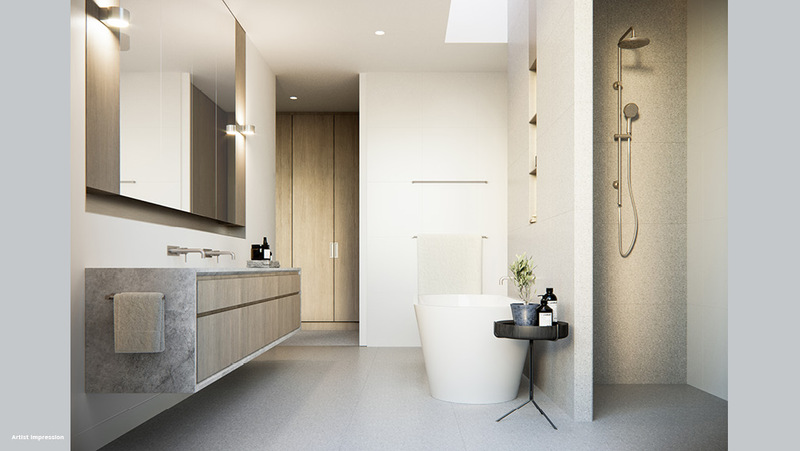 The seamless integration with an ensuite bathroom creates the perfect place to prepare for the day ahead or to retreat from a busy world for some private rejuvenation. The unmatched lifestyle made available through Pelham’s interiors is just part of the development’s attraction. Surround by a retail wonderland dotted with cafes and restaurants, Pelham’s location is highly attractive. The development is also excellently connected, with a tram stop right out front and Armadale Station just 500m away. Construction is due to commence in February 2018 with completion projected for April 2019. Two bedroom apartments range in price from $1,095,000 to $1,330,000. Three bedroom apartments are priced between $1,480,000 and $3,800,000. For more information or to enquire about Pelham, click here.